Need an agent on your side? All buyers should have one whether they realize it or not. Listing agents hold contracts with homeowners and sellers. Their primary responsibility is to sell the property for the seller. They first priority is not to the buyer. Although listing agents can be honorable and ethical, they really owe their fiduciary duty first to their seller, then the buyer. For personalized care and guaranteed service, it’s best for buyers to enlist the help of their own buyer’s agent. This is an agent that’s sole responsibility is to the buyer of a home and not the seller. It protects the buyer from losing out on a negotiating strategy and helps advice the buyer as to the best plan of action in a real estate transaction. 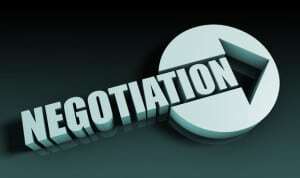 It’s difficult to negotiate for a buyer and a seller when you always have one party’s interest at heart. Yes, you can buy a house without one. Heck, you can even sell a house without an agent, but as with any major industry, using a professional is always a better way to go. There are so many legal issues when it comes to buying and selling a house that if something is done incorrectly you could be talking law suits here. When you entrust these legal and serious details to a professional that knows what they’re doing, you can trust that all things are getting take of in a timely manner. A buyer’s agent facilitates the real estate transaction the buyer’s behalf. They negotiate with the listing agent on terms and price and help the buyer to get the very best deal possible. Buyer’s agents also help advise on the best way to respond to reports, inspections, counter offers and disagreements. Having the experiences of hundreds of deals, buyer’s agents can help navigate the blurry waters of the real estate transaction. Everyone wants to know what it costs to use a buyer’s agent. Well, that’s the best part. It costs buyer’s absolutely nothing to use their services. Why? Because when a seller draws up a contract they agree to pay a commission to whomever sells the house. The listing agent usually gets half that commission and the buyer’s agent receives the other half. It’s a great deal because just about any home for sale will offer the buyer’s agent a commission to sell the property so it really costs the buyer NOTHING! So why wouldn’t you want a personal buyer’s representative when looking for your next Savannah home? Free, on your side, and can actually save you money…. Sounds like a no-brainer to me. 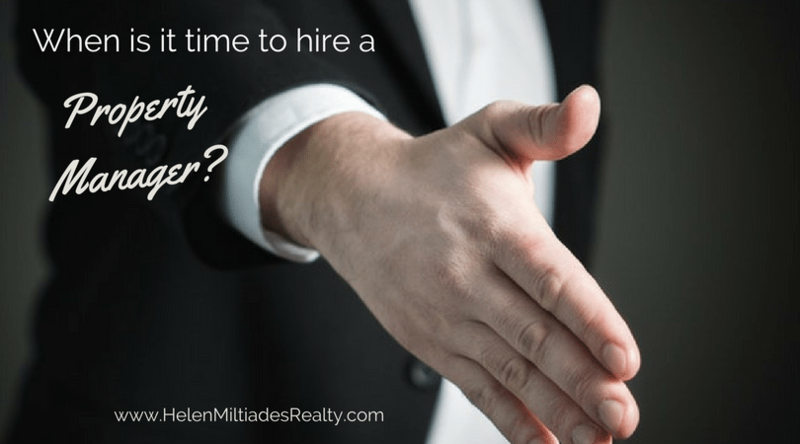 When to Hire a Property Manager? If you’re considering buying an investment property you’re also probably wondering whether or not you should be the landlord or hire a property manager. A property manager typically manages multiple properties and can help find the proper tenant, collect rents and schedule any repairs. As a landlord, doing it yourself means screening tenants, organize showings, collect rents and manage any repairs or replacements yourself. This might be a large job but for property managers, it comes easy because this is their job. 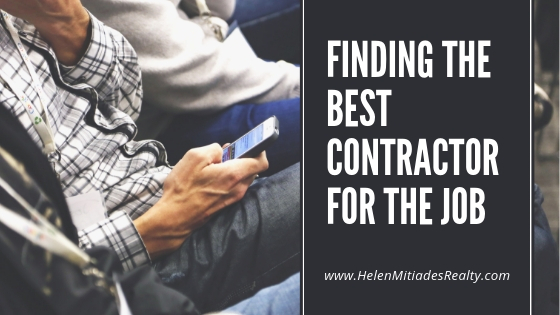 They might have the time to invest in getting the right tenant for your property, screening tenants, collecting rents, depositing it in your account and managing all repairs. Property management companies or individual property managers they deal directly with prospects and tenants saving landlords and owners time and stress over marketing the property, handling maintenance and responding to any tenant complaints. They can even pursue evictions and legal issues. There are many reasons to hire a property manager, not simply to ease the stress of dealing with the property on your own. Perhaps you have a lot of rental properties and their becoming too time-consuming. If you have at least three or four properties that you need to manage, this alone can become at least a part-time job, one in which you may not have the time or energy for. If you have a variety of rental properties, a large rental unit with multiple properties in the building or several houses, it might benefit you to move to a management company or personnel. Another reason is if you don’t live close to the property. If you live out of state, out of the country or simply a few cities away, it can be difficult to manage properties, collect rents, handle complaints and assess any repairs or maintenance that the property might need. Having a property manager close by to deal with all of these issues is a great way to ease stress and take the burden off of the commute back and forth to and from your property. Another reason may be that you’re simply not interested in hands-on management. 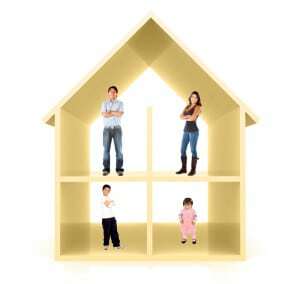 Many landlords and owners love the idea of having a property that they can simply sit back and collect rents from. They can build their portfolio and focus on new rental properties rather than managing existing ones. Of course, the money has to make sense and you want to make sure that there’s more money coming in and going out each month in property management fees and repair costs. Property managers also assess how much money the property is worth. Because property managers deal with multiple different properties, they can usually tell you what is the fair market value of rents in a particular area. You’re more likely to get a good collection of potential tenants and top dollar for your home. Property managers that have been experience can also suggest repairs, staging tips, ideas and ways to manage the property that would be beneficial to potential prospects and draw more tenants to your property. Something that a lot of owners may not consider is the use of an affordable housing program. If lenders participate in this affordable housing program, even though it’s beneficial, it can get complicated. These programs allows the landlord to receive financial assistance which may be in the form of a grant, a low-interest loan or tax credits. This is usually in return for agreeing to rent at least part of the property to tenants earning below a certain income level. The landlord must comply with a complicated set of rules but it can be worth it for the right tenant. Because of the situation, it may be more beneficial to hire a property manager that is familiar with these legalities. If you’re looking to invest in a great property in the Savannah Georgia area or surrounding communities and towns, contact someone that not only is a property manager but also a real estate agent. That agent can help you find the right home in the right neighborhood so that you have a decent rate of return and one that can also manage and handle your rental investments. For more details contact Helen Miltiades Today. Rent or Buy in Savannah GA? If you’ve been on the fence between renting a home or buying a home throughout the Savannah Georgia area there are some unique statistics that may change your mind if you’ve been renting. Currently as of the publishing of this post is almost cheaper to buy a home in Savannah that it is to rent. A one bedroom apartment in the city runs about $830 where is a two or three bedroom apartment or single-family home in the city is about $1100. The median sales price of Savannah is currently about $173,000, which would give you a monthly mortgage payment of about $825. This is for the median sales price which typically is for a one or two bedroom home between 800 ft.² and 1200 ft.². A larger home of maybe two or three bedrooms between 1500 ft.² and 2000 ft.² could run you roughly $250,000 which would still be an under $1200 a month mortgage payment. Of course, this does not take into account taxes and homeowners insurance which can run another $100-$200 per month. What it really comes down to is if you are prepared to buy and what the differences are between renting, buying and your time frame. 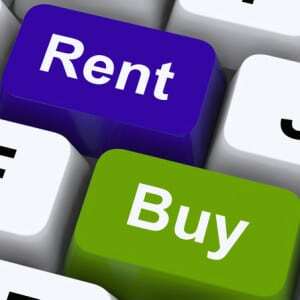 If you’re tired of renting and you plan on staying in a particular neighborhood or city for some time buying might be a great way to increase your equity, save some money and start putting money into your own home rather than paying somebody else’s mortgage. If you’ve built up a little excess money and have some and savings, you can consider putting down a sizable earnest money deposit or down payment, pay for the inspection costs and really not change too much of your outgo on housing, especially if you stay within a similarly -sized property. However, you might also consider renting because you like the low maintenance aspect of renting versus buying. If something goes out you can always call the landlord for repairs or replacements. When you own your home, you’ll need to repair it or replace it and this could be costly especially if you’re talking about the roof, siding, major appliances, ductwork, plumbing or electrical work. Again, on the flipside, when you own your home you are free to do just about whatever you want legally on the property. If zoning and coding requirements allow you can add on or remodel the home; you can add in a backyard swimming pool or hot tub; you can paint different colors or change out appliances and cabinetry to suit your lifestyle and taste. Renting very rarely allows you these changes. There’s always pros and cons to both but right now is an excellent time to consider buying since a mortgage payment and rental payment are about the same for similar properties. If you’re still on the fence and would like to know what you might be able to afford please contact my office today. I work throughout the Savannah Georgia area including Tybee Island, Richmond Hill, Pooler Georgia and surrounding communities and neighborhoods. When selling your home, most buyers are interested in being able to move right in, changing out the current homeowners decor for their own. In order to help give your home an edge over the competition, make sure each and every room has a clearly defined purpose, along with an attention to detail that won’t go unnoticed. Because open floor plans have become a trend found in many homes built in the last five to eight years, it can sometimes be difficult to determine how to create an individualized purpose and flow from space to space. Decorative ceiling details are a minimal expense that can dramatically change the look and feel of a space. Ceiling tiles, planks, or even a faux treatment with paint textures and stencils will add interest and definition, while in some cases actually causing the space to appear larger. A homeowner can add intimacy to a room by installing a coffered ceiling and using a contrasting paint color will help your great idea really stand out! It can be quite easy to define certain spaces, like a social area from a dining area with the use of the initial flooring, then adding area rugs. In many new homes, builders have used hardwood angled in different directions to denote different living spaces. Inlaid borders and designs in the wood will also help to separate an open floor plan. Combined with the placement of your furniture, area rugs will help to anchor a space by clearly defining it. How you add lighting to a room can greatly help, or hurt, the way a home will show to potential buyers. For example, the third bedroom may be set up to show as a home office, but without the proper lighting, the function is less important. While creating a flow from space to space, keep these tips in mind: Subdued lighting creates an intimate reading area, while bright lights can highlight a hub of activity at the kitchen island. Dimmer switches can be a perfect addition to your lighting efforts, as they allow you to guide people to one area and away from another. Room dividers, pocket doors, and decorative screens are simple and low-cost ways to create spaces within spaces. A modern take on a simple room divider are contemporary panels that can be hung anywhere in the home by a simple cable system. Another way to separate a space from the open feeling of “what would I do with this space” is to add open shelving. These are great because you are not actually closing off an area, or making it smaller, you are simply adding a defined purpose to a certain area. Multidimensional wall decor items are also a great way to draw attention to a certain area, while adding a focal point to the room. Paying attention to even the smallest of details will help give you a leg up on the competition. Making sure each space in your home has a clear purpose and function will help your home appeal the largest number of potential buyers, as they will be able to picture their own belongings in place of your own, making the transition that much easier for the new homeowners.